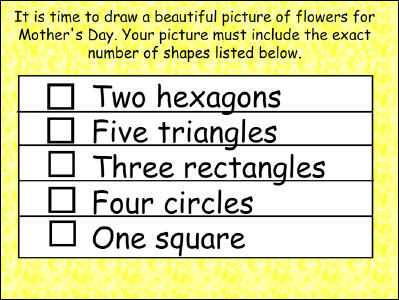 Second grade students are expected to identify and draw shapes such as triangles, quadrilaterals, pentagon, and hexagons. Their geometric reasoning is extended to include the equal partitioning on both circles and rectangles into two, three and four parts/shares. This activity engages students initially be having them identify shapes based on provided names (triangle, quadrilateral, pentagon, and hexagon) and then partition two circles and two rectangles into specific parts. The final part has students decorate a tie with identified specific shapes and even colors. Editor's Note: This blog is the fourth in a series of posts from former math specialist Scott Loomis on the real world math templates he has created for Wixie and how you can use and modify them for your own awesome performance tasks. You can read the backstory on his experience and expertise below. 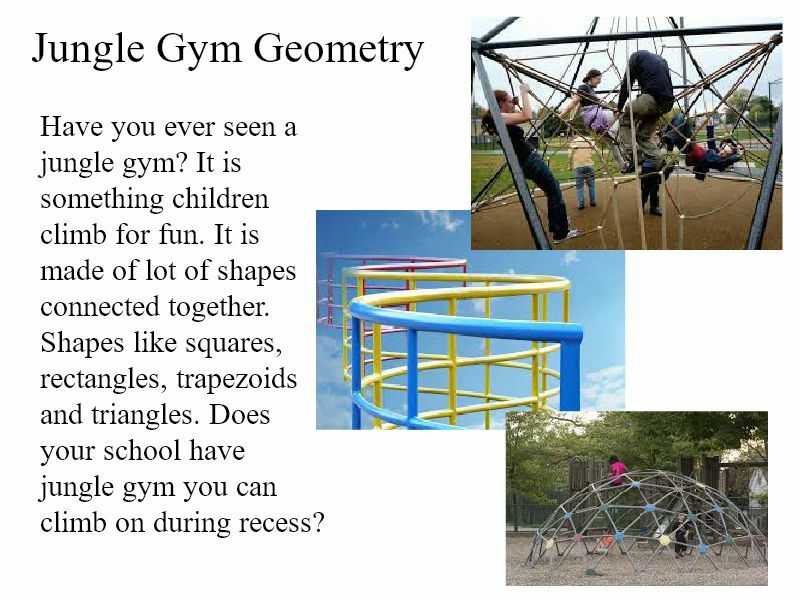 Kindergarten students are expected to describe their physical world using geometric ideas involving shapes, orientation and their special relationships to other shapes. This simple activity asks students to name objects/shapes and describe their relative position. The final activity involves modeling shapes in the world, in this case a flower painting, by creating a design with specific shapes. 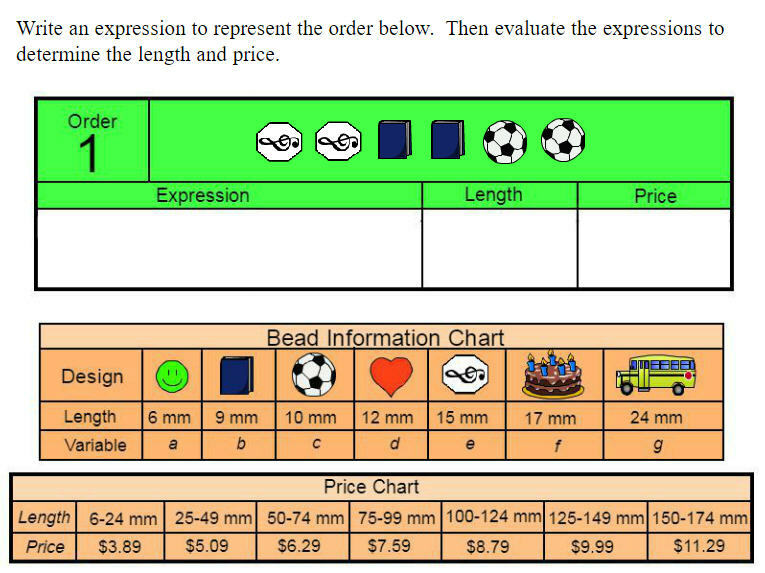 Editor's Note: This blog is the third in a series of posts from former math specialist Scott Loomis on the real world math templates he has created for Wixie and how you can use and modify them for your own awesome performance tasks. You can read the backstory on his experience and expertise below. Building fluency with addition and subtraction is a critical area of focus for second grade math instruction. In addition to mastery of basic facts within 20, skip counting and other computations strategies learned from previous grades are applied. Students’ use of computation skills coincides with the ability to solve word problems involving money. 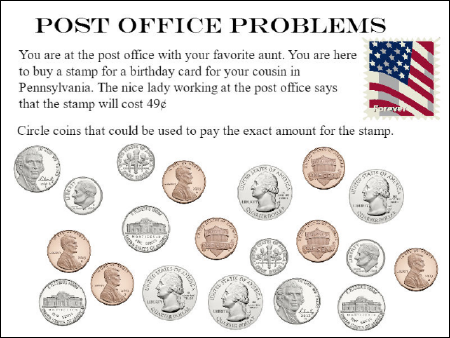 This four-page activity requires student to apply these skills to present a handful of stamp-buying related questions. Editor's Note: This blog is the second in a series of posts from former math specialist Scott Loomis on the real world math templates he has created for Wixie and how you can use and modify them for your own awesome performance tasks. You can read the backstory on his experience and expertise below.